Buy too much cilantro? Grow too much basil? When you're faced with a bounty of fresh herbs, you can save them for the future. Here, how to dry or freeze fresh herbs to prevent waste and save money. 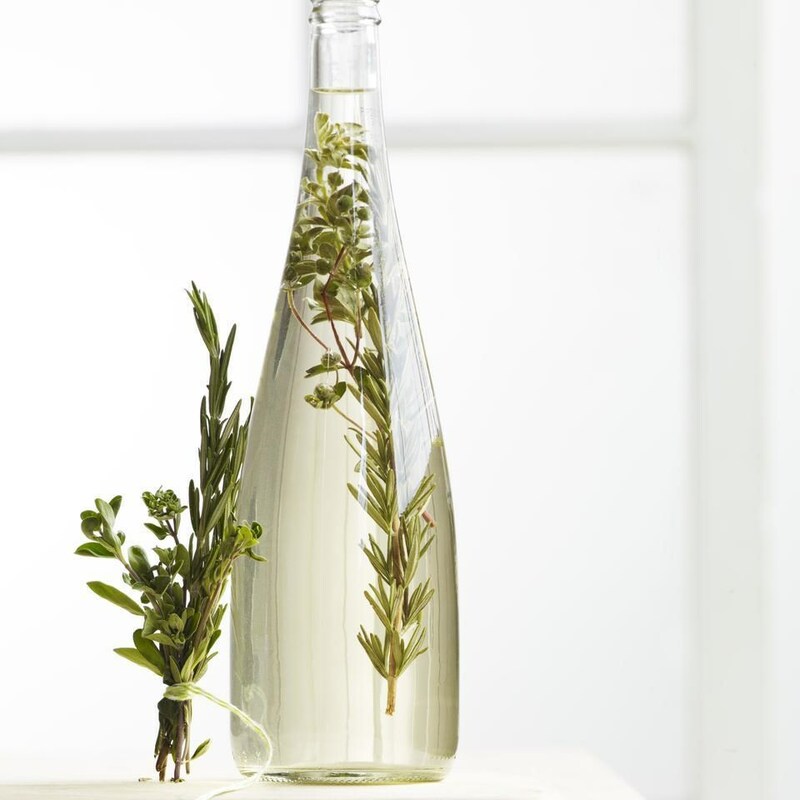 Many of us are lucky to live in a place where fresh herbs are plentiful pretty much year-round. Fresh herbs garnish dishes, brighten salads and add fresh flavor to practically anything they land on, from soups to stir-fries. They're also one of those foods that require you to buy a lot even if you only need a little. That is, unless it's summer and you have a bountiful backyard garden. If you do grow an herb garden, you can pick only as much as you need when you need it. But, at the end of the growing season: what to do with all these fresh herbs? Fresh herbs can't live forever, but you can dry, freeze or preserve them in vinegar or oil to help keep them from the compost bin and carry their flavor long past their use-by date. Here, how to make the most out of your fresh herbs. Almost any fresh herb is a good candidate for drying. You can use DIY dried herbs in place of any store-bought herbs, which can save you money in the long run. The only trick to remember here is to make sure the herbs are really, truly dry. If there is even a hint of moisture, they could get moldy in storage. Store in an airtight jar out of the light. If dried properly, dried herbs can last for a year or more. A dehydrator is the most efficient way to uniformly dry herbs and is a foolproof way of drying herbs without running the risk of burning them. Use a dehydrator if you have one and follow the manufacturer's instructions for drying herbs. We like the Excalibur 5-Tray 48-Hour Timer Digital Dehydrator, $300. Thanks to a large fan in the back, it circulates air more efficiently than its less-expensive counterparts, meaning even and consistent drying—no need to swap trays, flip or stir. No dehydrator? No problem. You don't need any fancy equipment to dry fresh herbs. Step 1: Wash and dry herbs, and place them flat on a baking sheet. Step 2: Dry them on the coolest setting of your oven (200°F or less) for 2 to 4 hours, or until very dry and crumbly. Step 3: Once cooled, remove any woody stems (ones you would find in rosemary or thyme, for example) from the leaves and store in a tightly-sealed container. The simplest method for preserving fresh herbs is to hang them in bunches to dry. Step 1: To make bunches of herbs, gather several stems together at the base and wrap firmly with kitchen string. Step 2: Hang herbs in bunches from their stems in a dark place for 5 to 10 days, until they are brittle to the touch. To protect the herbs from dust while drying, enclose them in a paper bag with holes punched in it. Step 3: Store in an airtight jar out of the light, then crumble to release their fragrance before use. If you let your herbs languish a bit too long in the crisper drawer but you still want to maximize their use, freezing is the way to go. Step 1: Before you throw those herbs in the freezer, you need to blanch them. Blanching preserves the herb's bright green color. Without this step, frozen herbs turn an ugly brown or black. To blanch herbs, you'll dip them in boiling water briefly, then move the herbs to an ice water bath to stop the cooking process. Blot dry with paper towels. Step 2: To freeze your herbs whole: spread a single layer of the blanched herbs on a wax or parchment paper-lined baking sheet, cover loosely with plastic and freeze until solid, about one hour. Step 3: Transfer to plastic storage bags for longer storage. Blanched herbs can be chopped in their frozen state before being added to soups, stews and sauces. You can also chop blanched herbs in food processor and freeze them in ice cube trays. Don't feel obligated to keep the herbs separated by type. 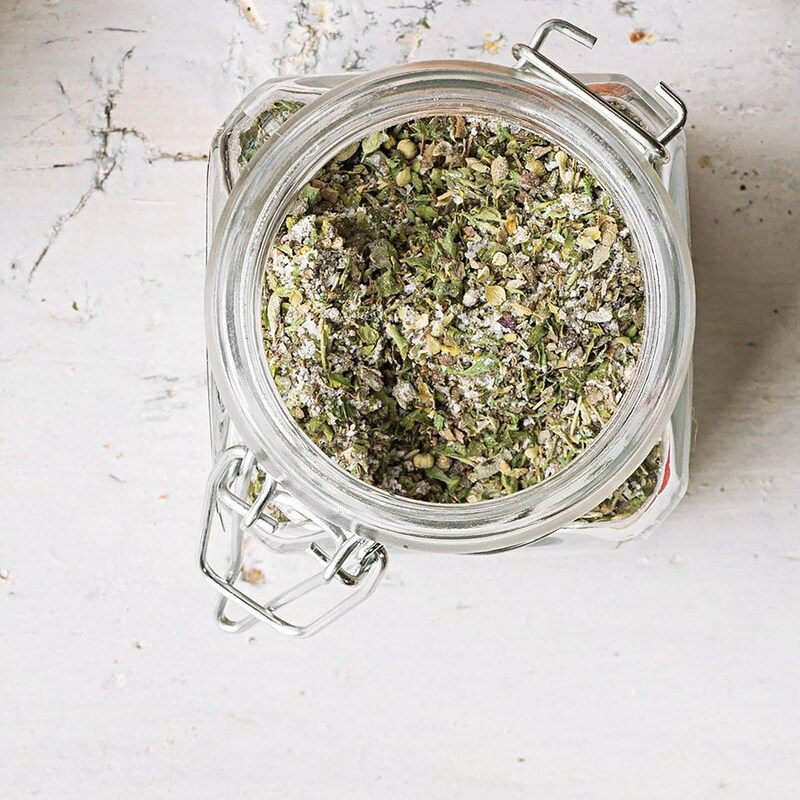 If you've got herbs to spare, play around by mixing a few to make custom herb blends. Either way, take some time to dry off any excess moisture from your herbs before freezing, to minimize freezer burn and ice buildup. Keep frozen herbs stored for up to 6 months (or longer if they're well sealed). Harvest your garden’s herbs for a graceful centerpiece now and dried seasonings later. “The dramatic centerpiece is all about using the garden’s bounty when you cut back your herbs in the fall,” says Stefani Bittner, landscape designer and co-author of Harvest: Unexpected Projects Using 47 Extraordinary Garden Plants. Gather herbs with twine, then wrap the bundles with 28-gauge floral paddle wire to string them together. After a few days, hang the garland to finish drying. Slide curtain rings with clips over a sturdy branch for a rustic look or a metal bar for something modern. Tie a leather cord or twine on each end to hang in a cool, dry place. Clip small bundles of herbs upside down to dry for one to two weeks. Then store dried herbs in airtight containers or keep the rack up and just break the leaves off as you cook, recommends Bittner. Rinse 15 to 20 sprigs of herbs in cold water, dry, destem and coarsely chop. Combine with 2/3 cup coarse salt and seal in a jar for up to a year (or in the fridge for extra freshness). Use as a meat or veggie rub or as a marinade base. 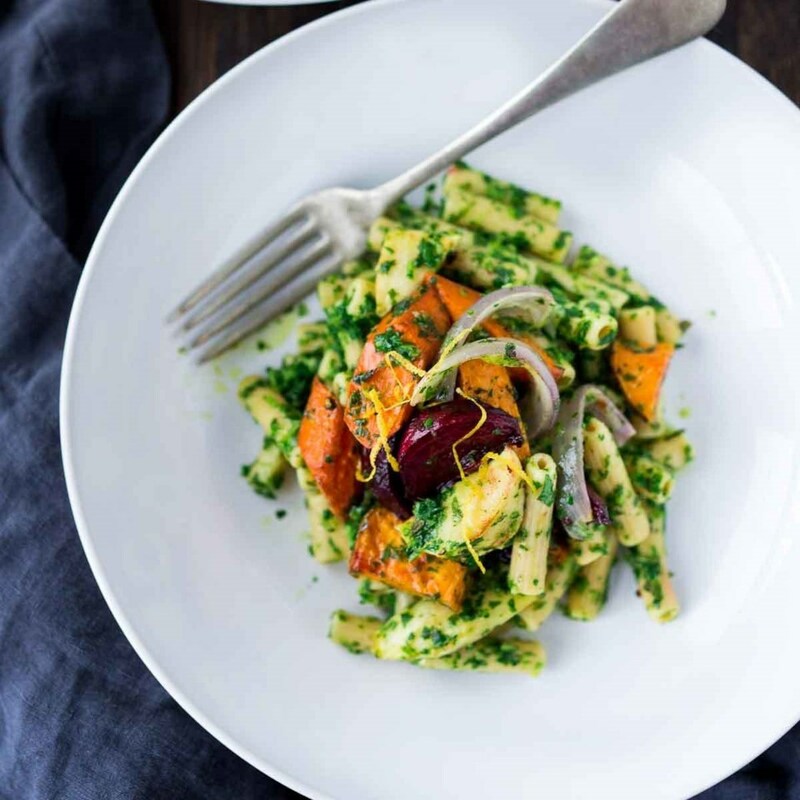 Try experimenting with several herbs, like an Italian mix of rosemary, basil and oregano, or a fines herbes blend of parsley, chives, tarragon and chervil. Step 2: Thoroughly rinse herbs with water. Remove the jars from the water bath with a jar lifter or tongs. Divide the herb sprigs among the jars. (You'll need about nine sprigs per jar.) Heat vinegar in a large saucepan to a simmer (at least 190°F). Carefully divide the vinegar among the prepared jars, leaving at least 1/4 inch of space between the top of the jar and the vinegar. Remove the lids from the water bath, dry with a clean towel, and screw tightly onto the jars. Step 3: Store the jars in a cool, dark place, undisturbed, for three to four weeks. Strain the vinegar through cheesecloth into another container. Repeat as needed until all the sediment is removed and the vinegar is clear. Discard all solids, and pour the strained vinegar back into rinsed jars, or divide among sterilized decorative bottles. Decorate with a few well-rinsed herb sprigs, if desired. Dried or frozen herbs allow you to save money and use herbs year-round. While fresh herbs have a flavor that's more delicate, dried herbs are much more potent. If you're using a recipe that calls for fresh herbs, but you're using dried instead, cut the amount back by a third. You can always add more if you want more flavor, but it's not easy to cut back once the herbs are in the dish. You can also create herb flavor "bombs" by freezing dried herbs or frozen herbs in ice cube trays with a tablespoon of oil, melted butter or broth. The frozen herb-oil cubes make great additions to soup, sauces and dips. Some original reporting by Lindsey M. Roberts.